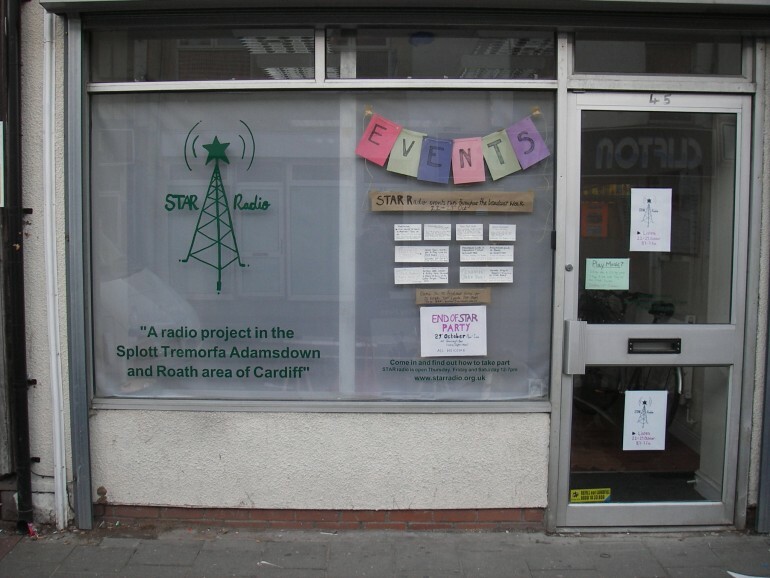 ‚Star Gone Tones‘ was created by talking with people on the streets, of the STAR Radio broadcast area (Splott, Tremorfa, Adamsdaown and Roath, Cardiff) about the sound memories they associated, with their neighbourhoods. From this „street sound survey“ a series of five poems, associated with each neighbourhood was created. The poems created were then given to people from each area to read, in-situ on the street, in the shops, homes etc from which their original responses were collected. In reading the poems the richness of peoples vocal accents and intonations were captured. These readings were used to create the final five ‚Star Gone Tone‘ compositions, which was played and mixed live on STAR Radio.